riends when we most need them. It is January, and the time of year that I most think of my friend Atolobako Vukoyo of Nagero, Zaire. How old would he be now? 52? 53? I try to imagine him at that age, but can only conjure the young face he had when I was living in Africa. 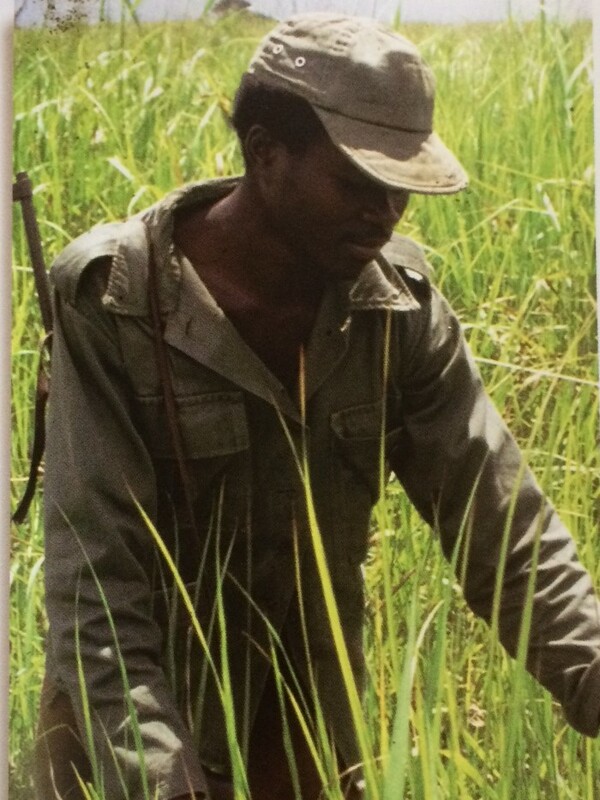 He was my assistant in Garamba National Park in 1993 and 1995 when I was doing my Master’s field work. That was before the military coup, before the civil war that left the already crippled country in tatters. A time when Zaire existed in relative peace. 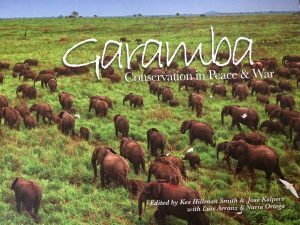 Garamba was established in 1938 for the protection of the northern white rhinoceros and along with it, many other African megafauna. Atolobako and others who guard protected animals take that responsibility much the same way as soldiers who go to war. They carry AK-47s and patrol in the brutal African sun through twelve foot grass, at any time potentially stumbling onto buffalo, elephants or even a pride of lions. Worse yet, they could encounter a camp of poachers also armed with AK-47s, or any hand-made firearm they can concoct from discarded pipe and wire. Poachers are often friends or neighbors, complicating an already dire political and economic situation. A dead poacher is also worth a ten dollar bonus; equivalent to a month’s salary (in the mid-90s). Atolobako was a very special man. We met on an excursion into the park to retrieve a rhinoceros collar that had been rubbed off in a mud hole. Rhinos were collared for research and protection measures. His first words to me were a warning of crocodiles in the Dungu River that forms the southern border of Garamba. It was almost dusk and we were summoning the “bac” (French for pontoon), a little home-made ferry that had to be pulled by hand across the river. An old junk truck wheel and a hunk of metal hung askew on a decapitated tree nearby. They served as the calling card for the bac. No matter what time of day or night, the clanging of the wheel brought people to the other side, where they would wait until enough gathered to pull the bac across the river to our side. As this took a while, I had jumped from the truck bed and was walking toward the river bank. I don’t remember in what language he spoke, but I’m certain it wasn’t English. It might have been a mix of French and Lingala, but I knew exactly what he was saying, and I listened. Atolobako didn’t speak English when I met him. We never really shared a language, but communicated perfectly. Already at our first encounter, he was looking out for me. That was September of 1993. I was a volunteer at the park, setting up a project for my Master’s study. Over the next several months, we became acquainted, and as I began my field research, he was suddenly my assistant, almost without being assigned. He started speaking English without any encouragement, picking up the sounds that he heard mostly from me. Everyone there spoke either French or Lingala, or a strange mixture of both. I spoke what I could of both languages, but being proficient in neither, I defaulted to English for lack of any other words. Atolobako remembered and repeated, without a book or lessons, and within weeks, was speaking passible English. It was amazing. We spent a lot of time together, 6 days a week, 6 or 7 hours a day. It didn’t occur to me until much later that although he was there as a liaison between the farmers and me, he accompanied me primarily as my protector. While we were usually near some habitation and not deep in the bush, there was always the chance of running into any kind of animal, even during the day. He generally did not carry a weapon, but at times when we went far afield, he packed his AK-47. It became quite natural to walk through the African bush with this black camo-clad man bearing an assault rifle. We talked a lot in our rounds through the farms and adjacent bush bordering Garamba. Farms planted and harvested by hand; large fields of millet, rice and cassava which by necessity were guarded day and night by subsistence farmers from marauding wildlife. Elephants, monkeys, duikers and hippos mowed down the farmers’ hard-earned yields in a few midnight snacks that could devastate whole properties in the course of one night. Those who had been forced to move far away from the river forming the border of the park were in better shape than the ones who dared to stay within a mile. 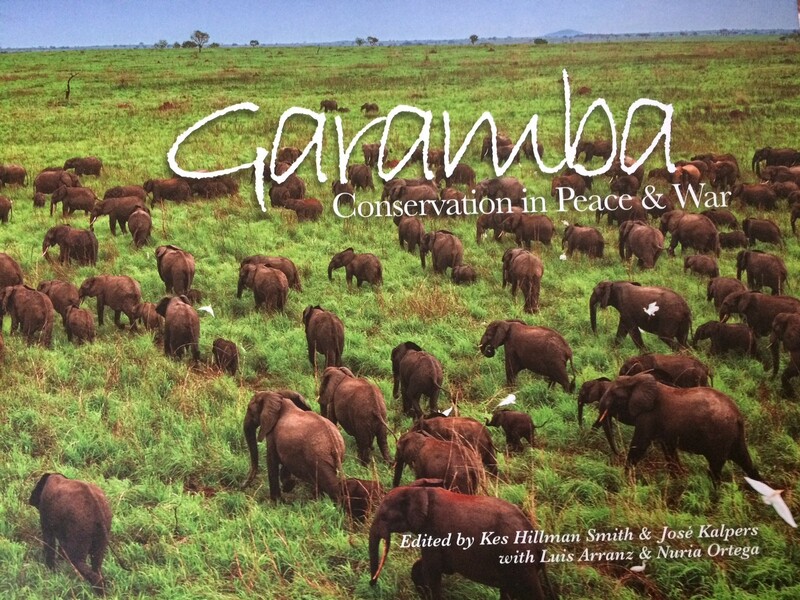 Everyone suffered from the destruction of the charismatic megafauna protected by conservation. Atolobako was always helpful, always there for me. He was a good worker and never complained. Every morning he joined the daily run with the guards to the intersection with the main road and back, a distance of several miles, dressed in boots and fatigues. We always heard the cadence penetrating the foggy tropical air before we saw the runners, complete with intricate rhythms and harmonies and sung in that musical language of Lingala. I was lucky enough to accompany the crew of four men including Atolobako into Garamba to complete vegetation transects, part of the field study for the rhino project. I had a rip-stop nylon tent and polyester sleeping bag, among my other western camping gear. The boys had blankets and canvas pup tents that were right out of Beetle Bailey, with the open ends, vertical poles to the peak, and guy lines to peg them tight. One night we stayed near water that supported a population of hippos. After dinner as we sat by the fire, the hippos would approach the yellow circle of light, their massive eyes shining like two dinner plates out of the black night. It was scary, to say the least. Every once in a while, one of the boys would jump up and yell to scare off the hippos, who would bolt away to howls of laughter. There’s really no fun like spooking hippos on a Friday night. The men’s teeth shown like beacons in the firelight, but the rest of their faces were masked from view. I must’ve looked like a ghost to their eyes. One full-moon night I brought out my binoculars. Nights in Africa were incredibly dark. We were hundreds of miles away from any source of artificial light. Atolobako and I sat side by side near the fire and shared the glasses. He gasped as he viewed the moon for the first time “close-up.” I will never forget that night. Another vivid memory involved the breakdown of the dirt bike we were riding at the far reaches of the village. We took turns kicking and kicking the starter, and in the waning twilight, finally abandoned the bike and started walking the 4 four kilometers back home. The baritone woofs of lions were often heard in the moist stillness of the bush, and I was plenty nervous without a flashlight or any kind of weapon – not that it would’ve done much good. Maybe Atolobako felt my nervousness. Maybe he was simply done with work for the day. He started teaching me the song, “Biso to uti na Nagero.” It was a local song that tells of someone returning to Nagero after a long absence. Atolo had a beautiful voice, a baritone resonance that would be the envy of any singer. When my husband and I got married there in the village on December 3, 1995, he led a group of guards in a lively Lingala song to honor our union. Those and many, many more memories remain from my time in Africa, and the most present are of Atolobako Vukoyo, my friend who gave his life for the wildlife in his world. Atolobako was captured by Sudanese rebels on January 16, 2009. His body was found three days later. I know he had a wife and children. The community is strong and will help them because they have to. They are accustomed to hard living. In Nagero, there is no other choice. I think of him often, of the impact he had on my life; the safety he provided, the songs he taught me, the example he set for his people. But particularly at this time of year, he lives in my thoughts, and I am reminded of how good our lives are in these United States. A special piece to be sure. Thanks for sharing this memory of respect for your friend, his dedication and sacrifice. Thank you. He was such a wonderful man. These memories never fade. Great to see you today. We all should try to meet up there sometime.